You’re the expert at your business. While you get on with innovating and day-to-day running of your business, we put our minds to work to help you grow sustainably with actionable strategies and digital assets that generate real ROI. Our model for your sustainable digital existence takes your website from being a single solitary “tree” in the harsh environment of the internet, and surrounds it with a cohesive forest ecosystem of digital marketing assets linked together for optimum effect. Nature gives us many lessons we can take and apply in a different context. A digital ecosystem from a marketing point of view has many similarities to a natural ecosystem. Witness the lone forest tree that stands all by itself, surrounded by bare dirt, at best with a covering of grasses. Without its usual neighbours, it struggles to thrive. Your website is that lone tree, surrounded by the wastelands of the internet. Perhaps you have a Facebook page as well. But it’s lacking a comprehensive network around it of useful, valuable content that works together to attract, inform and delight your clients. Your website is the centre of your digital marketing ecosystem. It should serve to attract, educate and inspire your clients. With an automated system that links your assets through timely, relevant communication, you can get on with your life, your work, your play while clients get to know you, like you and trust you. Need more than just one or two projects completed? Talk to us about being your in-house marketing department. When your message is clear and directed to your ideal client, they will hear. Our process of strategy first helps you to see clearly where you are going, so that you can then express yourself clearly in all of your content. 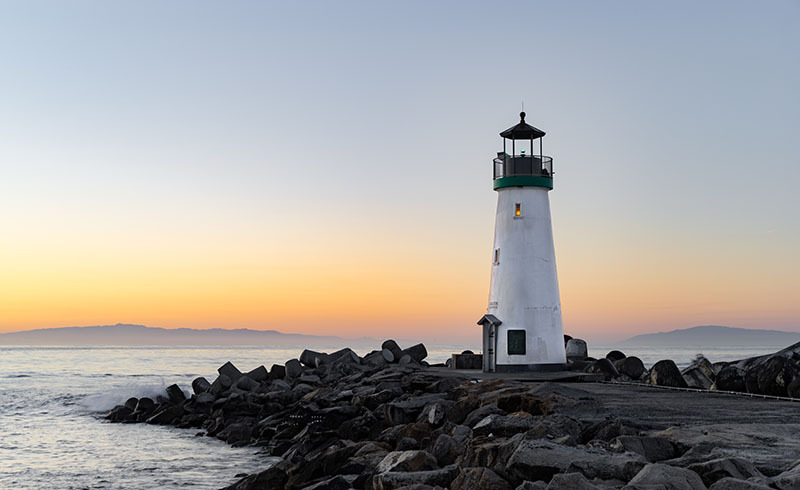 With a message that speaks strongly and directly to your ideal client, you’ll be like a beacon, a lighthouse, helping your clients navigate towards you..